The holiday season can bring up a lot of stress for most people. Between Christmas shopping and holiday parties, you may be struggling to find time to breathe. For many of us at our studio, finding a day to take a step back and participate in our favorite holiday traditions usually does the trick! Each family comes with its unique traditions. The traditions you participate in now might be different than the ones you participated in when you were younger, but there’s no doubt that this time of year brings a certain magic. While the best tradition will always be up for debate—be it decorating the tree or cozying in to watch your favorite Christmas movie—it’s impossible to talk about Christmastime without bringing up Christmas cookies! 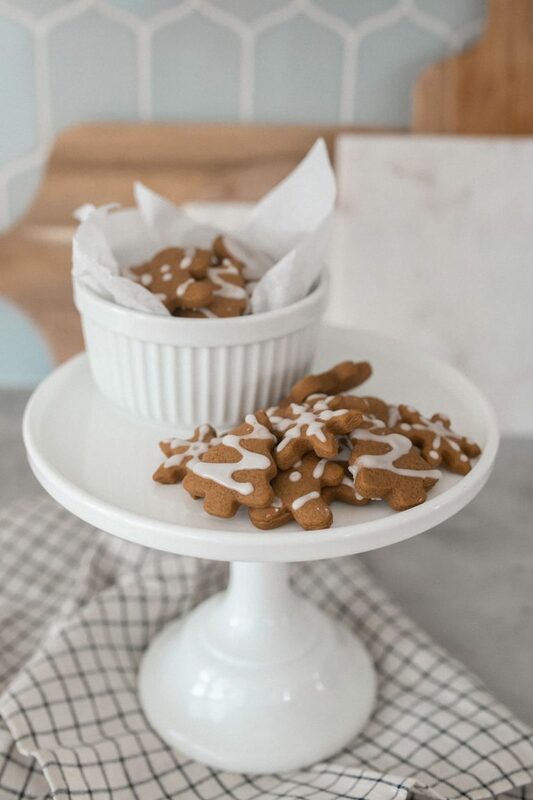 This recipe gives you a much softer cookie than the typical gingerbread cookie, making it perfect for all occasions, from a special treat for your family or your upcoming holiday party. 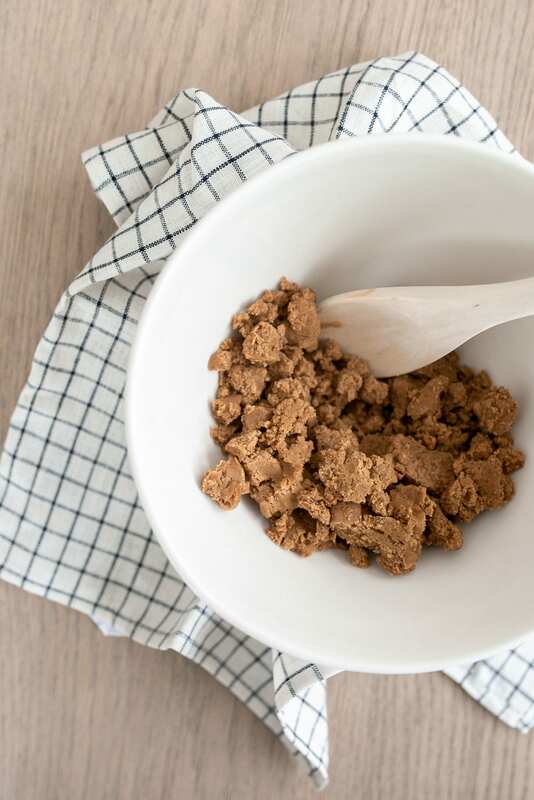 In a large bowl, combine the dry ingredients (flour, baking soda, and spices). In the bowl of an electric mixer, beat the butter and sugar on high speed for 2 minutes until it’s light and fluffy. Add the egg and molasses and beat on medium speed until combined. Add the flour mixture and mix on low speed until combined. The dough will be fairly thick and might look crumbly at first – I promise that’ll change when you use your hands and form them into balls! Divide the dough in half, form each half into a ball, flatten, and wrap with plastic. Chill the dough in the refrigerator for at least 2 hours or overnight. Remove the dough from the refrigerator and let it sit at room temperature for 5 to 10 minutes before you’re ready to begin rolling out the dough. 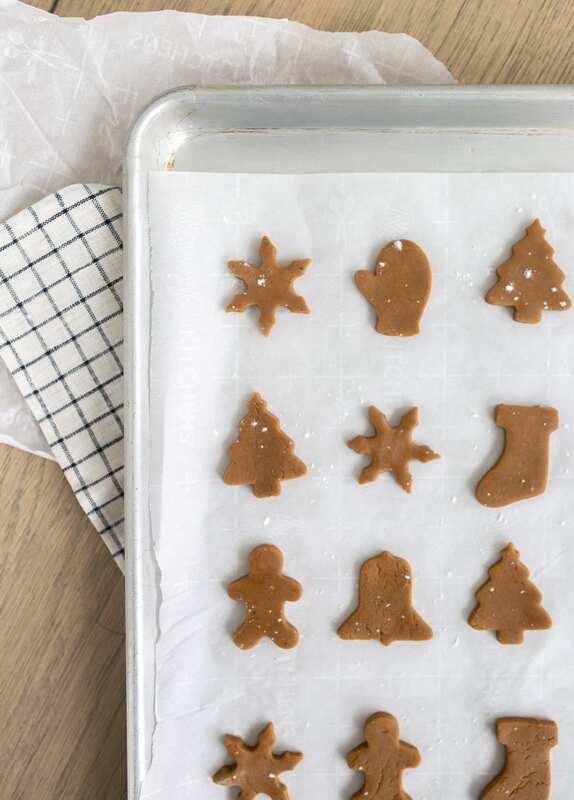 Preheat the oven to 350°F and line baking sheets with parchment paper. Place the dough on a lightly floured surface. Using a floured rolling pin, roll the dough until it’s 1/8-inch thick. 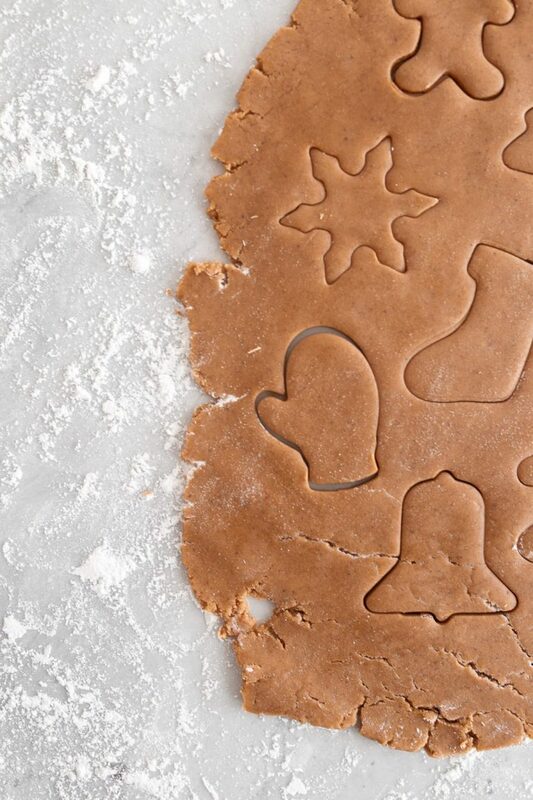 Cut the dough using cookie cutters of your choice and transfer the cut outs to a baking sheet. Bake the cookies 8 to 10 minutes (since I did mini, mine only took 6 minutes). They should become slightly crisp but not darker in color. Let the cookies cool for a few minutes on the baking sheet before transferring to a wire rack to cool completely. Whisk the ingredients together in a medium-sized bowl until the mixture is smooth. The mixture should slowly drip, but not run, when poured from a spoon. If the mixture is too runny, add a little bit more sugar. If it’s too thick, add a little bit more milk. 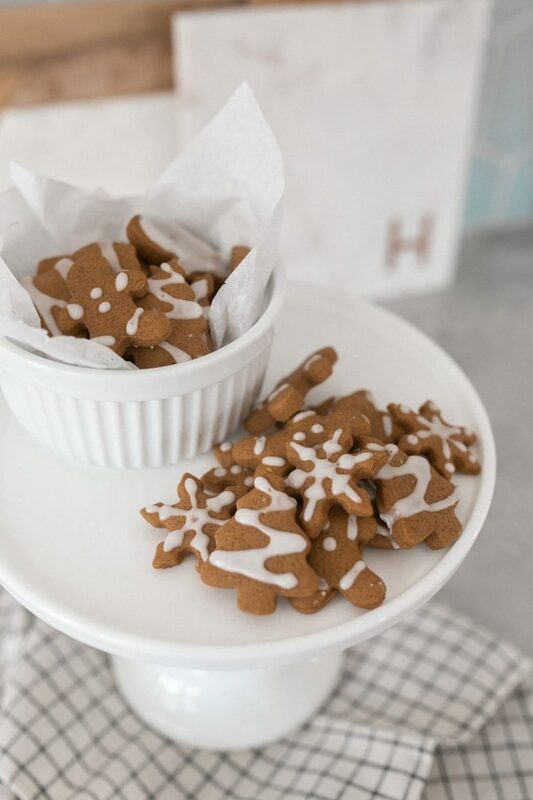 Looking for more Christmas cookie inspiration? 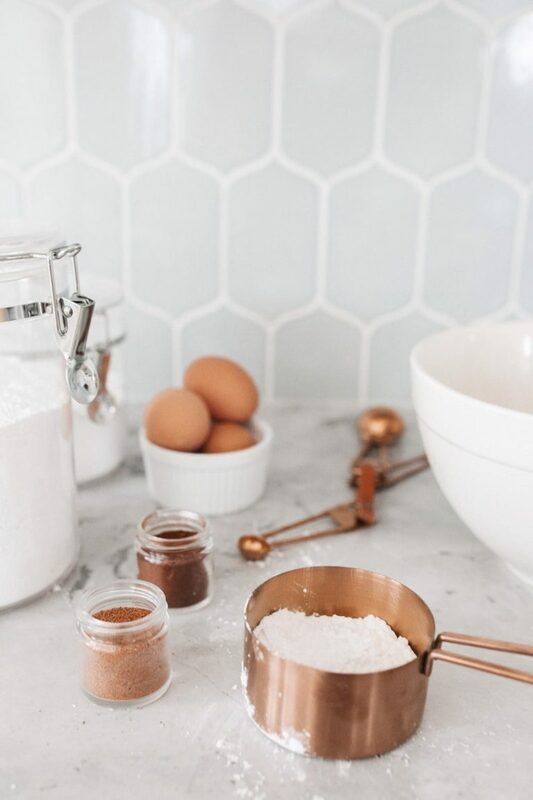 My friends have stirred up some pretty incredible recipes – check them out below!